Welcome to Windows Weekly, Albany UU's central source for news and updates. Feedback is always welcome. Enjoy! In California in the 1860s, Unitarian minister Thomas Starr King worked with John Muir to save Yosemite. He also started a predecessor of the Red Cross and helped California join the Union as a free rather than as a slave state. Two mountain peaks and a UU seminary are named in his honor. With the help of David MacLeod and Debbie Reep MacLeod we will explore a fascinating, little known piece of American and UU history. 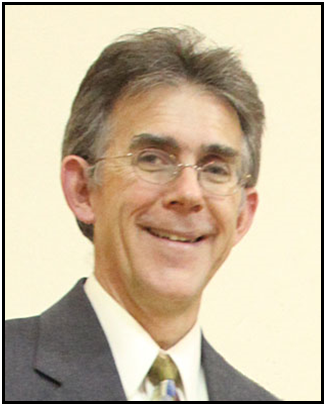 Dr. Sigrin Newell has been active with Albany UU for nearly 30 years. She recently retired from Walden University, a distance-learning graduate school where she taught education to doctoral students. Sanctuaries can be a physical place that we go for safety, protection, sustenance and renewal. A congregation like ours can also offer it by the community we create for each other. One important way we do this is by honoring the births, deaths, marriages and major life transitions in our lives. The metaphor we’ll be working with is an umbrella. NOTE: This is our Wheel of Life service, traditionally on the last Sunday of October. 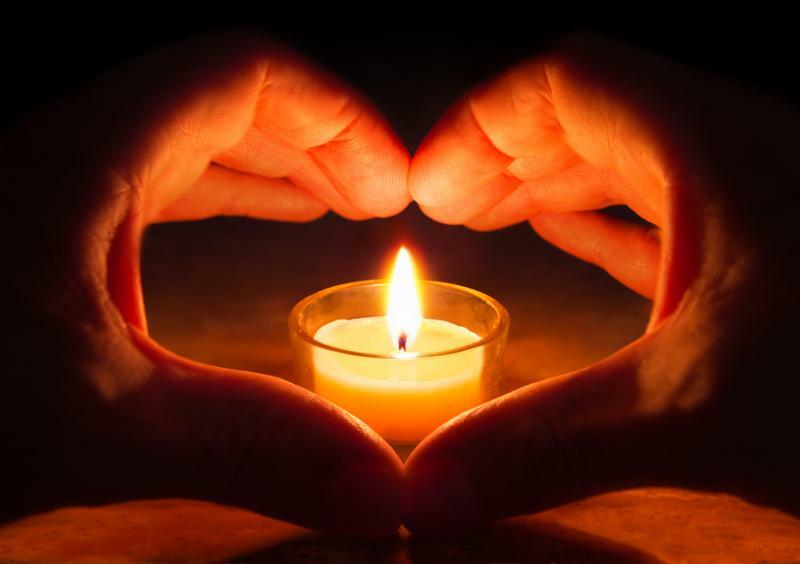 Anyone who has experienced a major life transition is invited to bring a picture, a symbol, or a memento of that event. It can be brought forward during service to honor that transition (and may be retrieved after service ends). All contributions in the plate this Sunday, Oct. 21 will be given to SHARE (Sheridan Hollow Alliance for Renewable Energy), a 501©(3) organization, unless otherwise marked. If you write a check, make it payable to SHARE. Checks for your pledge should be made payable to Albany UU, and have "pledge" written on the memo line. As always, envelopes will be available for cash contributions that you want to earmark toward a specific fund or pledge. SHARE’s mission is to stop the State’s proposed fracked gas power plant in the nearby Sheridan Hollow neighborhood, and to compel a renewable energy alternative. Funds are needed so that SHARE can continue to conduct forums at neighborhood churches to garner community support. Merton D. Simpson, Jr., Albany County Legislator and Co-Chair of SHARE will be available on Sunday to tell us more. PLEASE! Help keep our shared space clean! This is a reminder that we are ALL responsible for ensuring the cleanliness of our space. Our contracted cleaner is here Mon-Fri in the early morning only. Izzy does a good job in the limited time he is here on Sundays and Mondays. The rest of time, it is up to us to keep our spaces clean. If you or your group use any part of our building, please leave it better than you found it. This is especially important if you bring in or make food. Our cleaner is NOT responsible for the kitchen. WE ARE. (And Izzy is when he is here.) If you use anything in the kitchen, even if it's just one cup, wash it, dry it and put it back. Then wipe down the counters and clean out the sinks. The more we keep our spaces clean, the less problems we will have with unwelcome critters! Thank you! Photo appointments for our new photo directory are still available on Wednesday, Oct. 24 at Albany UU. We want all members and friends to be a part of it! Sign up online or at the Get Connected Fair on Sunday. You can also call a Lifetouch representative at 1.866.756.0281 and tell them you want to schedule a photo session for the First Unitarian Universalist Society of Albany. If you can’t make it to a photo session, you can still be part of the directory by submitting a photo. E-mail your photo (at least 250 dpi and preferably in horizontal format) to Peggy Sherman . If it was taken by a professional, there is a release that the photographer needs to sign. Can you spare 2 or 3 hours to welcome and sign people in for their appointments at Albany UU? Volunteers are needed for afternoons and evenings on October 24-26 and for the morning and afternoon of Saturday, October 27. Please let Peggy Sherman know if you are interested. Find more information here . The Holiday Bazaar Needs You!!! Are you an artist, crafter, knitter or avid Pinterest fan? Do you love to make things? The annual Holiday Bazaar on Sunday, December 2 needs your creative talent. We are looking for items that would make great small gifts or stocking stuffers for adults, children or pets, holiday crafts and gifts for the home - whatever you can imagine and make. Please contact Sigrin Newell with your ideas or questions: 518-439-6705 or sigrin.newell@gmail.com . It's that time again to gather blankets, sleeping bags, and warm coats, etc. Please put them in the bin in the coatroom to be given to those who are homeless. Thank you for helping. In brief, our partners the Albany Friends (Quakers) are preparing the space we are hoping to offer for physical sanctuary. We would like to have this space certified as ready to go, and then make a public announcement of Albany UU’s and the Friends’ support of Sanctuary. The details: When we sought buy-in from the Albany UU congregation this past spring, the informal Sanctuary task force provided a list of activities we would like to consider to aid immigrants and asylum seekers. More than the other activities, offering physical sanctuary was only realistic if the congregation was on record as supporting it. As it turned out, preparing for physical sanctuary was also the most time-consuming of the activities. 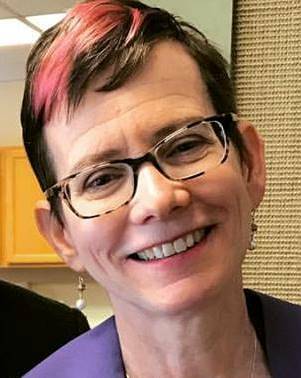 Fortunately, the Sanctuary task force (now operating under the aegis of the Social Responsibilities Council) was able to put in many hours over the summer contacting other congregations, and Jean Poppei has been indefatigable this fall at consolidating interested groups. In researching other congregations’ experiences hosting asylum seekers, it quickly became apparent that the volunteer requirements were large, beyond the scale of the Friends and of the Albany UU Sanctuary Task Force. One team will be needed to feed the guest or guests, another to assure overnight coverage, and still another to coordinate health care, communications, translation, clothing, and worship services, as needed. We have received positive responses from Unity Church, Trinity Methodist, and the First Church (Dutch Reformed). There are interested members at the Shrine Church of the Americas and at St. Vincent’s Roman Catholic, even though those organizations have opted NOT to be known as Sanctuary congregations. In order to consolidate the interested groups, we are working on setting up a planning meeting in an Albany house of worship. The pending meeting should settle on a structure, and general agreement about what the groups can offer or not offer. One tool Jean Poppei found that we think will be very useful is the Cambridge Covenant, which was used for exactly this purpose recently in Massachusetts. in a direct assault on poor immigrants, federal authorities have proposed a new regulation that would deny residency and citizenship to immigrants who have legally accessed any public assistance, or might be expected to in the future. Many groups, congregations, and even state agencies have spoken up and fought against these events. Speaking up directly against these policies, the Poor Peoples Campaign focused one of its weeks in the spring on the issue, and that organization has remained intact. Week after week, however, the group which most clearly opposes these policies has been ICE-Free Capital District. They coordinate protesters at political events, and make sure to have observers / supporters outside ICE check-ins. I bring up this group because they are doing some of the things that we say Albany UU should be doing, and Albany UU could learn a lot from these committed activists. Things are not likely to change for the better until showing up at ICE check-ins becomes a mainstream activity, something that a group from Albany UU can join in or coordinate as a group from Albany UU. If we are clear about what we speak for and why we do what we do, then it will be acceptable to take the lead from a group like ICE-Free Capital District. 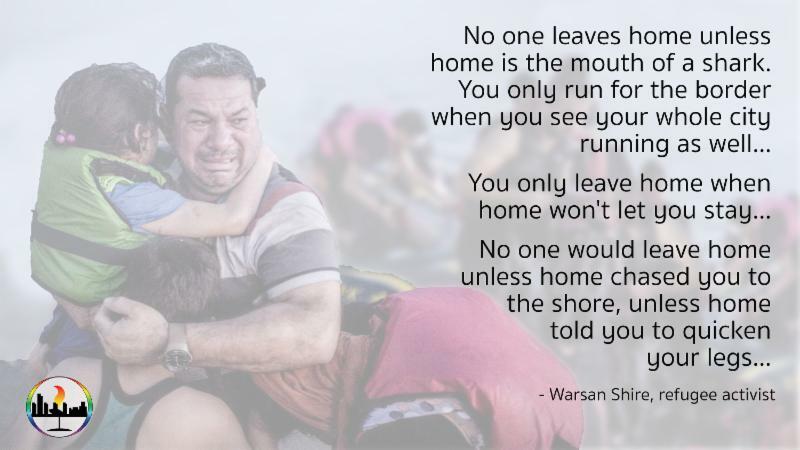 Albany UU is fortunate to have members who work or volunteer providing direct service to refugees and immigrants. So far, we have not been able to settle on exactly what we can do as a congregation to meet the needs of immigrants and asylum seekers, besides offering physical sanctuary. Some Albany UUs have even said they would be willing to host immigrants in their homes, something that the Sanctuary Task Force has not really considered to this point. We see our role at this point as exploring ways that Albany UUs can help immigrants and asylum seekers while also leveraging the protection we get from being a house of worship, both legal protection and moral protection. So the progress on Sanctuary is ongoing, with most of the momentum on setting up physical sanctuary. 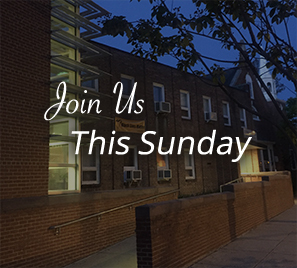 We look forward to continuing to put the other aspects of sanctuary together, with the overall goal of being as welcoming a congregation as we can be to people in many different situations. Upcoming Learning and Discussion Opportunities with the Minister! Deepen your appreciation for our Unitarian Universalist purposes, principles, history, values, and traditions using the excellent book House for Hope by Rebecca Parker and John Buerhens. Find out more here . Rev. Sam will be leading a meditation workshop/practice session Friday, from 6:00 pm till 9:00 pm and Saturday from 8:00 am to 3:00 pm with a light vegan potluck lunch at about noon. If these dates are not good, this workshop will be repeated on Feb. 8 and 9, 2019. Send an email to registrations@albanyuu.org to sign up. Find out more here . Family Ministry - building strong connections between families and the congregation; and equipping parents and caregivers to engage in their child’s faith development at home. The 40th anniversary of SI is already ramping up the awesomeness with the announcement of Ysaye Barnwell as the 2019 Theme Speaker. A former member of the vocal group Sweet Honey in the Rock, Barnwell is an energetic and beloved workshop leader in the UU community. She has a deep knowledge of the African-American vocal tradition, and of music’s power to connect, motivate, inspire, and teach. Come and share in the experience of building beloved community through a collective voicing of our shared joys, concerns, and humanity. Learn more at cersiuu.org . Want to know what is happening in the Central East Region? Looking for information on workshops and offerings? There are several ways to keep in touch and know what’s happening. Visit the CER website, Subscribe to the Central East Newsletter, or follow us on Facebook or Twitter @ceruua. Hudson Mohawk UU Fall Gathering! UU Saratoga on Oct 27! All are invited the HMUU Fall Gathering at UU Saratoga (624 Broadway), Saturday, Oct. 27, 10:00am-3:00pm. 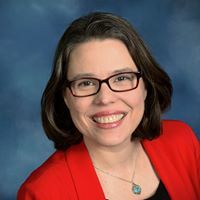 The sessions will include break out sessions for participants to apply these concepts and skills to particular areas of congregational life and leadership because culture impacts all we do from stewardship and finance, to religious education. Please bring a brown bag lunch. Coffee, tea, and snacks will be provided. View the flyer here . Find more info about HMUU here . Emma's Revolution is coming to Kingston! Support the UU Congregation of the Catskills and see Emma's Revolution in concert! Friday, Oct. 19, 7:30 pm . Find more info here . Election Day apple peeling and pie assembly! Here’s something else to do on Election Day--before or after you vote! Join your Albany UU friends peeling and cutting apples for homemade apple pies to be sold at Coffee Hour on Nov. 18. 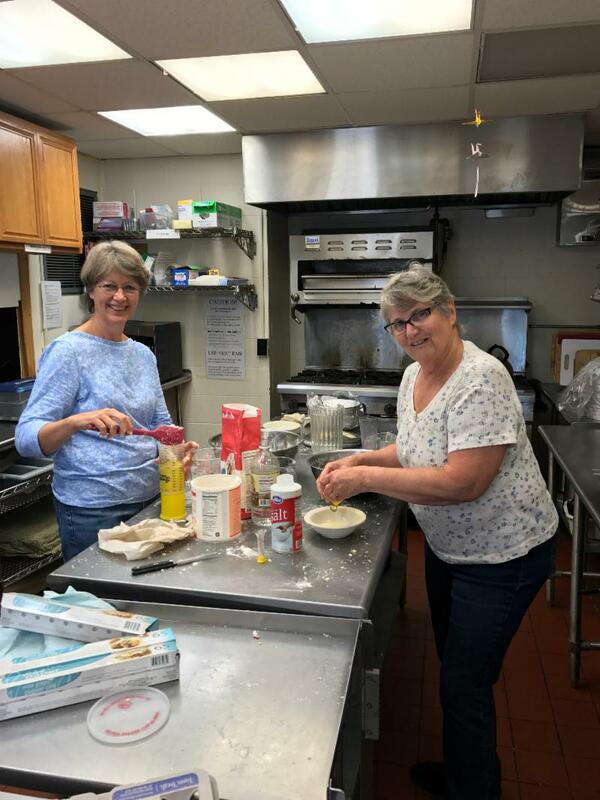 This lovely tradition was started by Jan Satin some years ago, and continues on led by Sandy Stone and Dorry Campano (whom you can see here in the process of making 125 pie crusts!). Bring your favorite peeling knife and help peel apples and assemble pies. 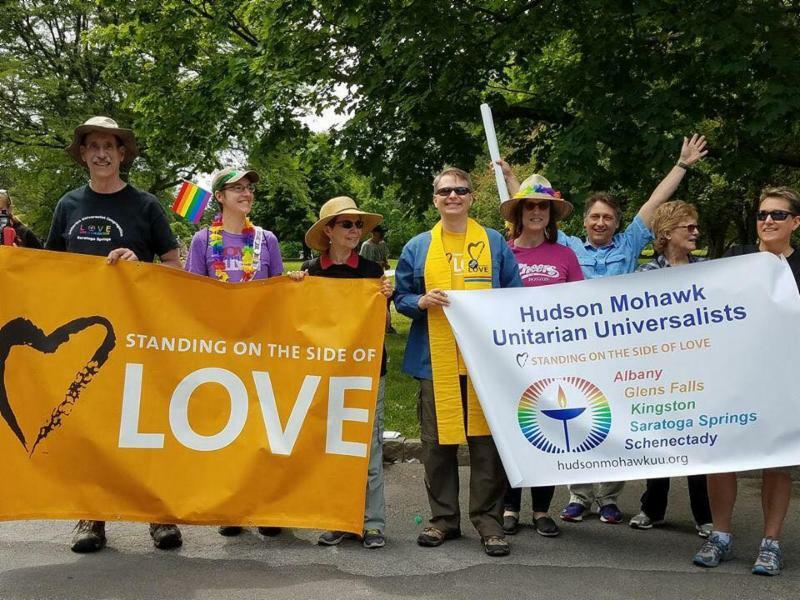 Friday and Saturday, October 19-20, the N.Y. State Convention of Universalists holds its 192nd Annual Convention in Syracuse. Keynote speaker is Dr. Gretchen S. Sorin. She is co-writer working with Ric Burns on the soon-to-be shown PBS documentary “Driving While Black: African Americans on the Road in the Era of Jim Crow,” which is based on her research. Find more information here . 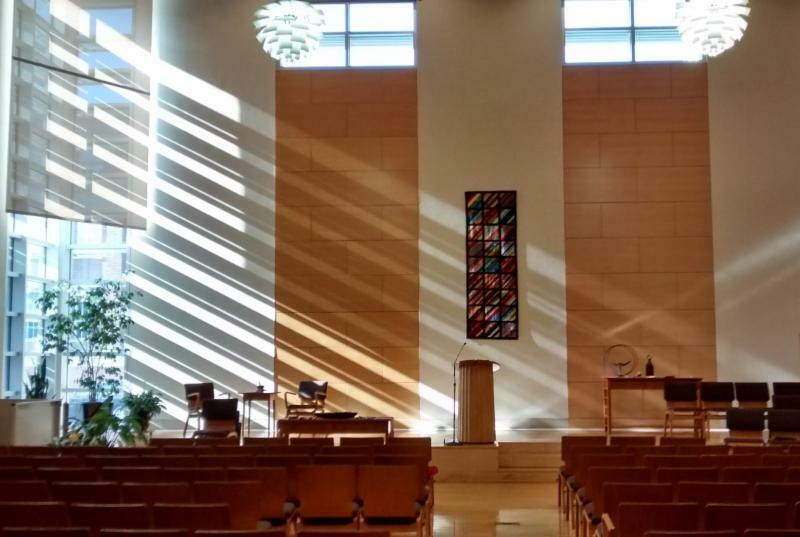 We invite you to join us for "Getting to Know UU" to learn about Unitarian Universalism and about our congregation. Learn more here . Attend the Albany UU Get Connected Activity Fair on Sunday October 21 and find out what you might be missing! Find more information here . The next East of Hudson Potluck will be at Jean and Abe Bolgatz's home on Friday, Oct. 26 at 6:00 pm . If you live east of the river, join us! RSVP to Jean: 518 274 2501 or jandabolgatz@ gmail.com . Please plan to join us for the October Circle dinner, the first dinner of the church year. Circle dinners provide Albany UUs and visitors the opportunity to socialize and become better acquainted over a delicious potluck dinner in a private home. Find more information here . Visit the gallery in Channing Hall to see works by Sheryl Galinski and Marjorie Ward. Sheryl Galinski is a long time resident of the Capital Region and frequently sells her work at the Poestenkill. Marjorie Ward lives in Latham and has exhibited her work throughout the Tri-city area. Reception with the artist, Sunday Oct. 28, 11: 30 am. Find more information here . This practice group will offer an environment of mutual learning and support in the practice of nonviolent communication. Basic understanding of Marshall Rosenberg's framework for nonviolent communication is requested of participants. Find more information here . Join the Walker Book Group for a potluck and discussion on Sunday, Nov. 11 at 5:30 pm in Channing Hall. Bring your favorite dish to share and a small contribution to cover beverages. We will discuss Revolution Song: A Story of American Freedom by Russell Shorto. Find more information here . 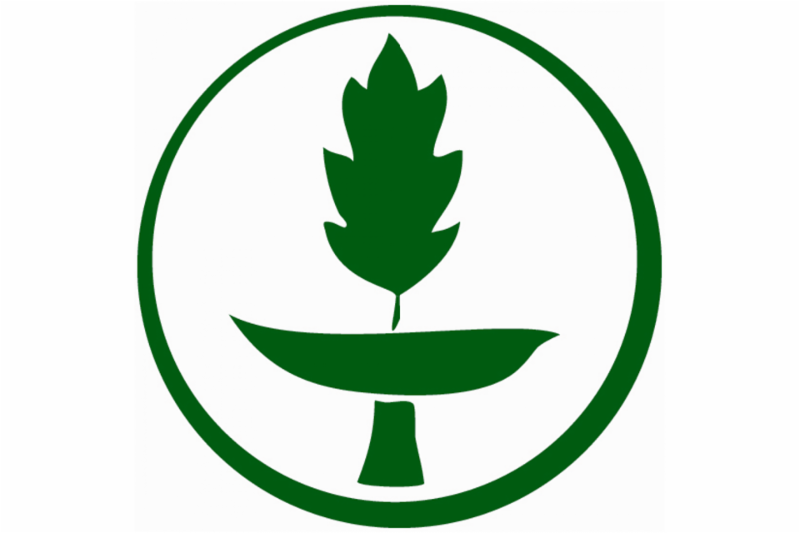 All interested in learning more about humanism in Unitarian Universalism are welcome to join us. A gardening club is forming at Sheridan Prep for students in grades 3-5. 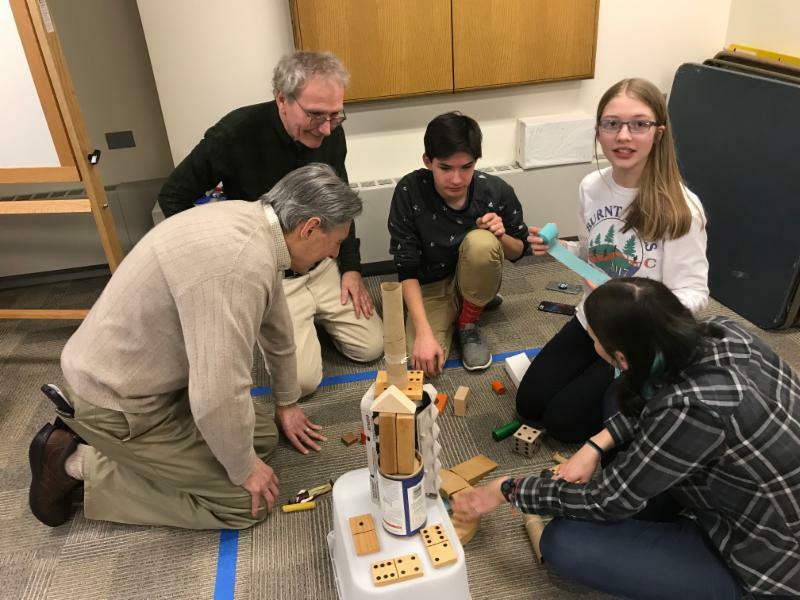 The adviser for the club has purchased hydroponic gardening kits and will need some help setting them up and working with the students after school. If you are interested, contact Chuck Manning at chuckmanning@hotmail.com. Keep up with what's happening for children and families. Check out Leah's RE Newsletter! Check under the Family Ministry heading for upcoming opportunities! Check out the interactive bulletin boards for children, youth and adults in Channing Hall and the 2nd floor and basement hallways – and make a contribution! If you haven't already, register your child for Religious Exploration! Register for RE on line and pay the registration fee on line too! Or, pick up a paper copy in the RE Office. Make your check out to Albany UU and put RE Registration in the memo line or pay in cash. Call the office at 463-7135 or email Leah at dre@albanyuu.org with questions. Immigrant Solidarity Cocktail Hour, Thursday, Oct. 18, 5 - 6:30 pm. Speakers to report on ongoing direct aid for immigrants in Troy and the Capital District. Donations will be accepted, hors d’oeuvres provided. Sunhee's Farm and Kitchen, 95 Ferry St., Troy. Ask a Candidate. It’s election season, with a general election on November 6. When a candidate asks for your vote, ask whether that candidate supports medical aid in dying. Click here to take the pledge to “Ask the Candidate.” NOTE: You are not required to make a financial pledge, regardless of where the website routes you. How to Influence Your Legislators. Attend a presentation by the leaders of Compassion & Choices NY, Corinne Carey and Amanda Cavanaugh, Oct. 24, 1:00-3:00, Bethlehem Public Library . 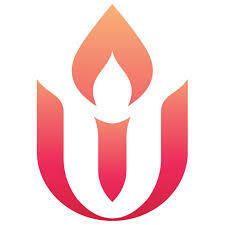 It is with such a heavy heart that I share with you a terrible incident that happened at the UUA this weekend, when both the UUA Board of Trustees and the General Assembly Youth staff were in town. On Friday, the UUA received an anonymous, hateful letter addressed to one of our GA Youth staff volunteers, a youth of color, who is also the child of the UUA Board’s Secretary, Christina Rivera. The letter was an expletive laden note insulting and attacking Christina and her child. This is completely unacceptable in our faith community. Read the full letter here. Green Sanctuary's Tip of the Week! Use a power strip on your computer and other appliances (ex., microwave, TV) to cut down on phantom electricity use. Turn them off when you will not be using them for awhile.